The 25-mile rail line upon which the Napa Valley Wine Train travels was built in 1864 by San Francisco's first millionaire, Samuel Brannan. The line was positioned to take visitors to his spa resort of 'Calistoga'. Shortly thereafter, Brannan was forced to sell many of his holdings in order to pay for his divorce, and the railroad became the property of California Pacific Railroad, then Southern Pacific bought the Napa Valley Railroad in 1885. During the late part of the 19th century and the early part of the 20th century, the railroad played a vital role in the economic and agricultural development of the Napa Valley, and provided regular passenger service to the communities of the valley. Passenger service was discontinued in the 1930s. Southern Pacific abandoned the right of way north of St. Helena in 1960, and by 1984 Southern Pacific ran only one freight train a week on the tracks. The Southern Pacific chose to abandon the line and sell the property in 1984. 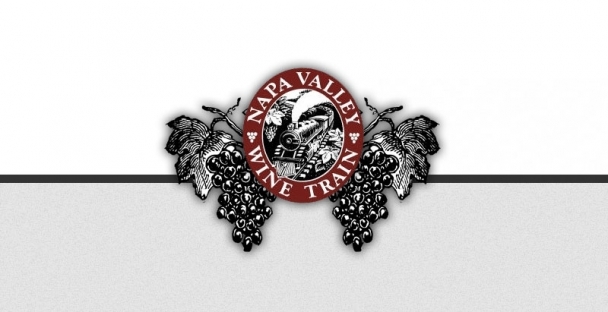 In 1987 a group of concerned citizens founded the Napa Valley Wine Train, with the goal of preserving the transportation corridor for future use and reducing traffic congestion in the valley. The Napa Valley Wine Train purchased the rail line from Southern Pacific, restored vintage 1910's era Pullman rail cars, and hired a team of food service experts to provide visitors with a dinner-train experience.